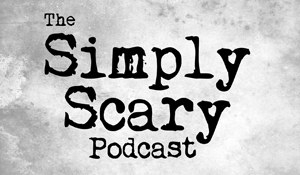 The Simply Scary Podcasts Network | The Simply Scary Podcasts Network | Audio Horror Podcasts, True Scary Stories, Creepypastas, and More! 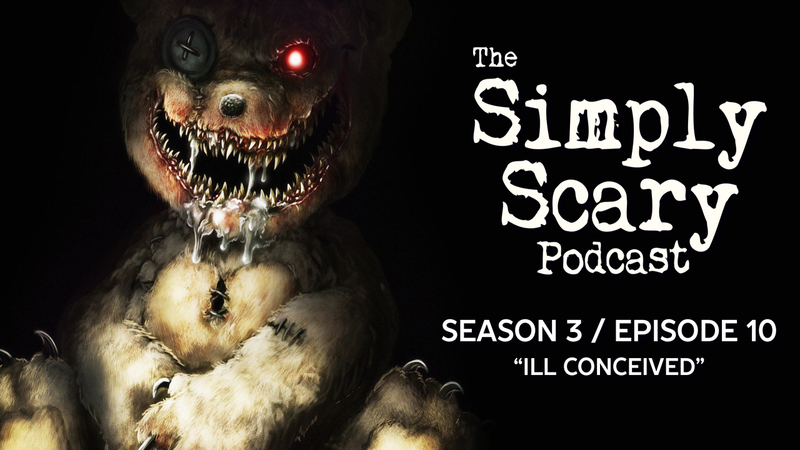 Here at the Simply Scary Podcasts Network, we produce and publish high-quality audio horror entertainment programs for lovers of terrifying tales, frightening fiction and denizens of the dark. 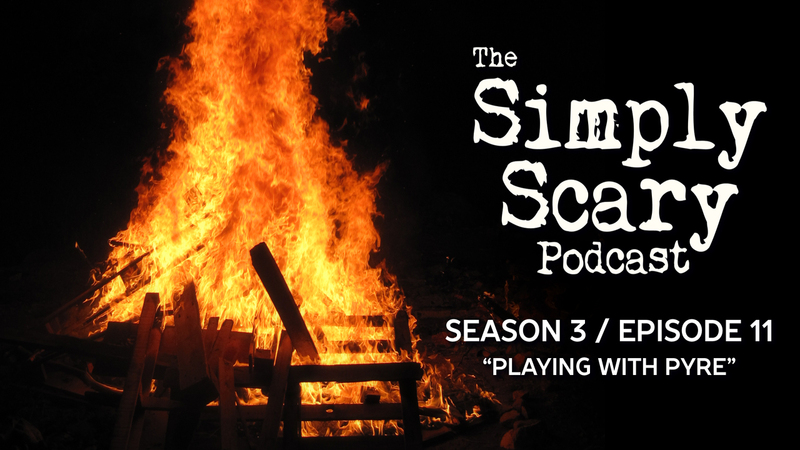 Join us weekly for brand new episodes both hosted and voiced by talented performers from across the globe, with scary stories brought to life by exceptional acting, high-quality sound effects, and immersive music. So what are you waiting for? 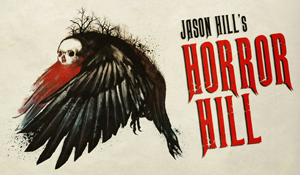 Start exploring our weekly horror programs today, and pray for daylight. Who needs sleep anyway? Support us and become a Patron today! In this episode of Scary Stories Told in the Dark, we bring you four terrifying tales from authors Craig Groshek, Thamires Luppi, Mike Raisch, and the writing duo of Justin Norris and Evan Aragon, performed by host and narrator Otis Jiry, about inexplicable illness, vanishing acts, paranormal pastures, and dark diaries. In this episode of Scary Stories Told in the Dark, we bring you five terrifying tales from authors Rhonnie Fordham, Oliver Dace, David Feuling, and James Colton, performed by host and narrator Otis Jiry, about close calls, macabre museums, cursed criminals, and creepy congregations. In this episode of Scary Stories Told in the Dark, we bring you five terrifying tales from authors Sandra Varela, Richard Dockrey-Young, Judy Dockrey-Young, and an anonymous author, performed by host and narrator Otis Jiry, about losing one’s religion, occult occupations, paranormal parishioners, and learning lessons the hard way. In this episode of Scary Stories Told in the Dark, we bring you four terrifying tales from authors Cole Long, Dan David, The Dead Canary, and Absinthe Rose, performed by host and narrator Otis Jiry, about cryptic calls, nefarious neighbors, drug-induced dread, and terrifying trees. 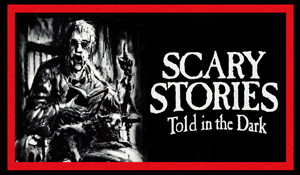 In this episode of Scary Stories Told in the Dark, we bring you four terrifying tales from authors Richard Saxon, Collette Akile, Greye La Spina, and C.K. Walker, performed by host and narrator Otis Jiry, about frightful forums, tenacious terrors, evil artwork, and malicious amusements. In this episode of Scary Stories Told in the Dark, we bring you five terrifying tales from authors CatShapedVoid, Devin Hoover, Ken Lewis, Peter Oldale, and Richard A. Moore, performed by host and narrator Otis Jiry, about vicious visions, interdimensional oddities, otherworldly infants, dastardly demons, and intrusions into your imagination. 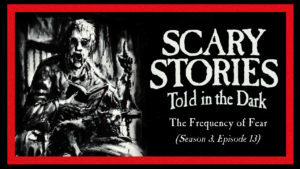 In this episode of Scary Stories Told in the Dark, we bring you four terrifying tales from authors The Dead Canary, Jameson Curnick, Matthew Sara, and Jonathan Reiman, performed by host and narrator Otis Jiry, about horrific hobbies, animal instincts, risky residents, and creepy camps. In this episode of Scary Stories Told in the Dark, we bring you four terrifying tales from authors Dr. Elsewhere, S.R. Underschultz, H.K. Reyes, and Tom Farr, performed by host and narrator Otis Jiry, about familial frights, insistent entities, time-defying technology, and devilish deities. In this episode of Scary Stories Told in the Dark, we bring you five terrifying tales from authors Justine Anastasia, S.R. Underschultz, R.A. Brewster, Kevin Thomas, and Mr. Twelve, performed by host and narrator Otis Jiry, about absurd appetites, friends to die for, mysterious maladies, perilous programming, and territorial terrors. 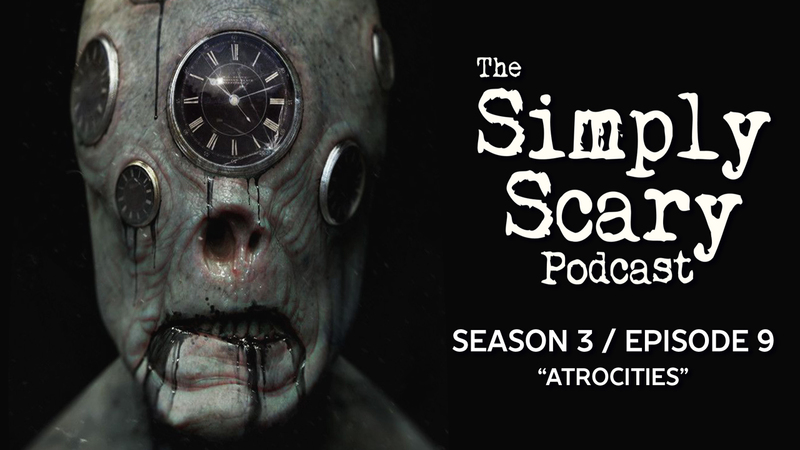 In this episode of The Simply Scary Podcast, we'll be your guide tonight through the twisted worlds and disturbed imaginations of several amazing authors, as their tales are told by talented voice actors Erica Garraffa, Jordan Lester, and Otis Jiry. Tonight’s tales concern everything from nightmares next door, unforgettable phantoms, and timeless terrors. In this episode of Scary Stories Told in the Dark, we bring you four terrifying tales from authors James Curnick, The Dead Canary, Jimmy Juliano, and Andrew Harmon, performed by host and narrator Otis Jiry, about animatronic abominations, school lockdowns gone spooky, creeping creatures, and rituals gone wrong. In this episode of Scary Stories Told in the Dark, we bring you four terrifying tales from authors Colby Newton, Anton Scheller, Immutatus, and William Meikle, performed by host and narrator Otis Jiry, about apocalyptic abominations, sinister static, nightmarish nursery rhymes, and beasts beneath the waves. In this episode of Scary Stories Told in the Dark, we bring you five terrifying tales from authors Alice Thompson, Stephen McCool, Lady.Katie512, and Cameron Suey, performed by host and narrator Otis Jiry, about insidious inventions, eerie elders, creepy closets, and predators with a purpose. 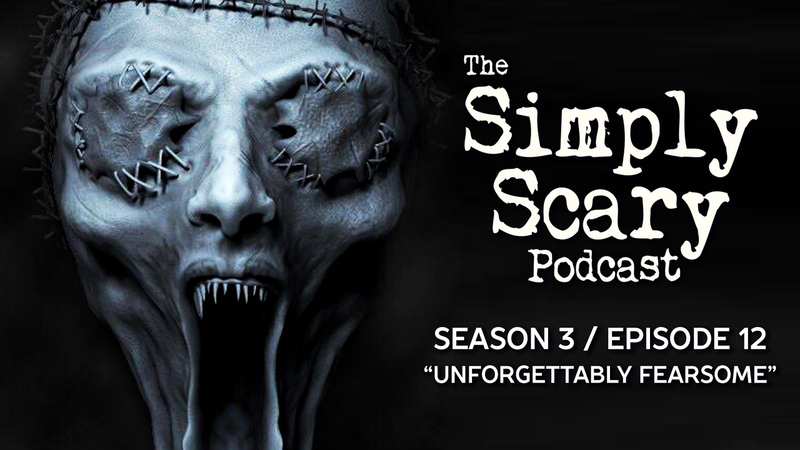 In this episode of The Simply Scary Podcast, we'll be your guide tonight through the twisted worlds and disturbed imaginations of several amazing authors, as their tales are told by talented voice actors Joe Walz, Barry Bowman, Zorayda, and Jason Hill. Tonight’s tales concern everything from insatiable appetites to creepy ouijas, currency conspiracies, and the dark sides of sales. In this episode of Scary Stories Told in the Dark, we bring you five terrifying tales from authors James Colton, J.J. Cheesman, Aneal Pothuluri, Christopher Maxim, and Prolix, performed by host and narrator Otis Jiry, about fascinated felines, horror-strewn hallways, eerie effigies, subterranean secrets, and malevolent amusements. In this episode of Scary Stories Told in the Dark, we bring you four terrifying tales from authors Katie H., Phil Zona, Maya Ellert, Jacob Newell, performed by host and narrator Otis Jiry, about ominous openings, unforgettable footage, malevolent motels, and books with bite. In this episode of Scary Stories Told in the Dark, we bring you four terrifying tales from Sarah Kearsey, Peter Shilston, Michael T. Guidry, and an anonymous author, performed by host and narrator Otis Jiry, about dreadful darkness, cavernous crypts, paranormal pacts, and fiendish faculty. 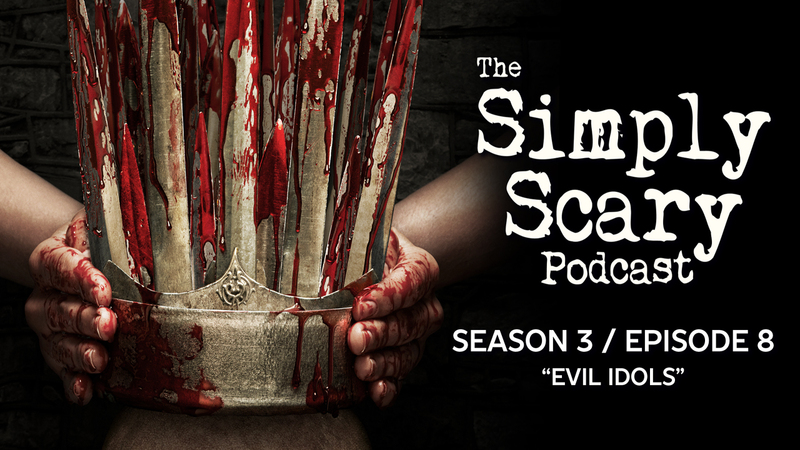 In this episode of The Simply Scary Podcast, we’ll be your guide tonight through the twisted worlds and disturbed imaginations of 5 amazing authors, as their tales are told by talented voice actors Lucas Webley, Olivia Steele, and Deanna Cagle. Tonight’s tales deal with everything from unwelcome visitors and nightmarish meals, to terror in the trees, aquatic atrocities, and monstrous matriarchs. In this episode of Scary Stories Told in the Dark, we bring you four terrifying tales from authors N. Christ, Keith Daniels, Alex Lowe, and Alex Taylor, performed by host and narrator Otis Jiry, about repulsive reflections, fearsome forests, bone-chilling books, and lurid legends. In this episode of Scary Stories Told in the Dark, we bring you four terrifying tales from authors Keith Daniels and Paul Breen, Jr., as well as two anonymous authors, performed by host and narrator Otis Jiry, about lakeside legends, ghastly games, fiendish forests, and malevolent memories.